Want To Find Love Online? This advice may seem counterintuitive. When presenting yourself in the online dating world, isn’t the goal to reach the largest pool of possible matches? So you hide your quirks and put forth what you think will be the most widely appealing, least offensive version of yourself. Right? When we interviewed the founders of OkCupid (the hippest online dating site with 7 million members) for our upcoming book, they told us this kind of thinking is an online dating “fatal flaw.” And they should know. 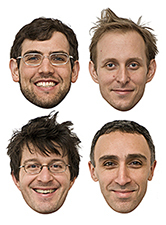 These four math nerds from Harvard are the Nate Silvers of finding love online—number crunching their teeming mass of statistical data to provide insights into what really works in digital dating. In other words whether you’re like the pair above—iPhone-using, Mickey-Mouse-loving, tatted hipsters—or [insert truthiest description of yourself here], express who you really are in your profile and photo. 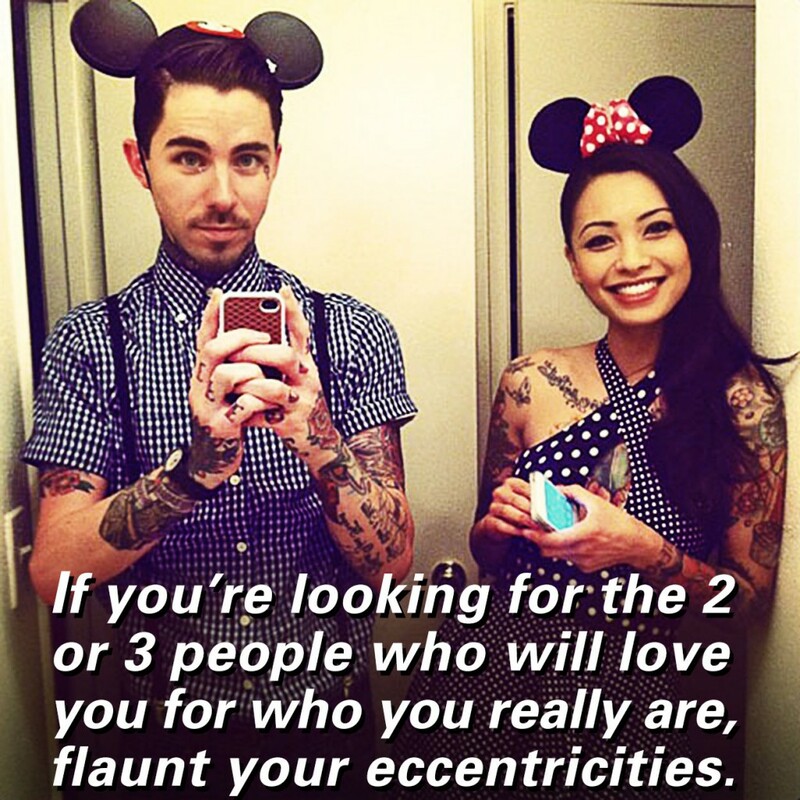 Then your chances are better that someone who will be attracted to the real you can actually find you. This idea of showing who you really are can also be applied to your work life. Most of us have faked it in a job interview, pretending to be the sort of employee we thought a potential boss was looking for. Predictably the results (if you even get the job) are disappointing to that employer and yourself. And if you’re selling a product or service why try to appeal to every demographic? Instead let people know what is truly unusual about what you’re selling to attract the core group of people that can’t live without it. Next Next post: Kids’ Art of Doing: How Does a 12-Year-Old Prodigy Make Friends in College?